Anna Hansen hasn't moved far from her former employer Fergus Henderson - whom she worked with back in 1992 at The French Dining House Room - setting up her Clerkenwell restaurant, The Modern Pantry, just down the road from his landmark eaterie, the St John. Overlooking St John's Square, this is a second venture for the New Zealander who used to co-own our favourite Marylebone tapas fusion place, The Providores. With such a culinary pedigree it's no surprise that The Modern Pantry opened to great excitement in August 2008 and, over time, has proved that it more than lives up to the hype. With a ground floor cafe, first floor restaurant and pantry (deli) under one roof, you can sample the internationally influenced three course menu, order birthday cake or take a sandwich away for lunch. We'd recommended settling in for the full experience, sampling innovative dishes like red cabbage and miso soup and cassava chips served with tomato chilli jam and crème fraiche. Mains continue the treat for adventurous eaters - with choices of sake and soy butternut squash risotto dressed with cashew and mint pesto, and roast pork belly with chocolate and balsamic vinaigrette. For afters, Earl Grey panna cotta served with blackberry and liquorice jelly or chocolate mousse cake with tamarind caramel and cocoa chilli crumbs are typical of the tempting choices that you'll surely find room for. The Modern Pantry gyms, sporting activities, health & beauty and fitness. 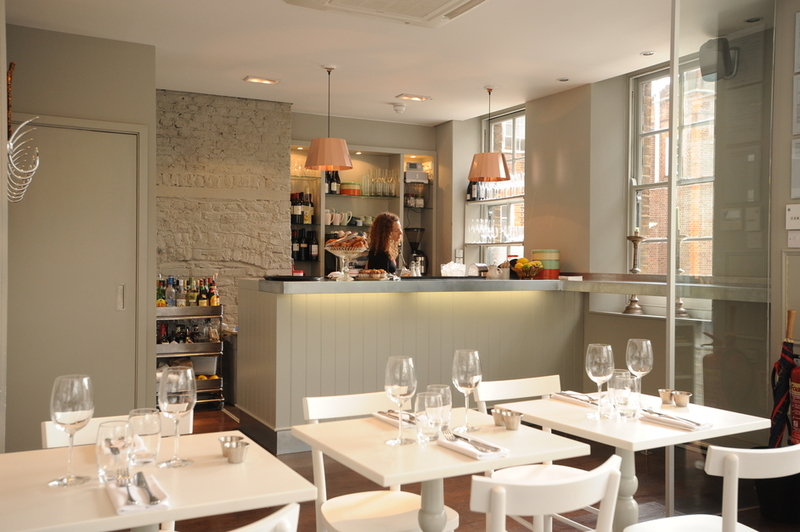 The best pubs near London The Modern Pantry. The Modern Pantry clubs, bars, cabaret nights, casinos and interesting nightlife. Where to have your meeting, conference, exhibition, private dining or training course near The Modern Pantry. From cheap budget hotels to luxury 5 star suites see our discounts for The Modern Pantry hotels, including The Zetter Townhouse Clerkenwell from 57% off.